Wait what? 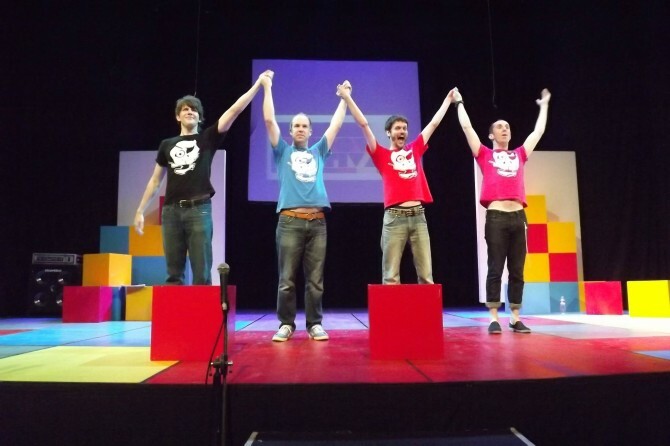 A live, improv, comedy show… in two languages? But, Japanese and Western humor are so different- how does that work? They get suggestions for skits from the audience? This is MADNESS. 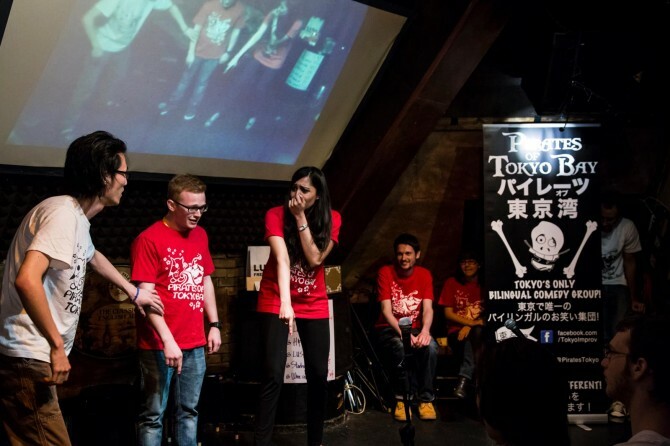 As the only bilingual improv group in Tokyo, The Pirates of Tokyo Bay get laughs from everyone in town, and their growing fan base and standing-room-only performances are proof that their recipe for HA HA totally works. Pirates? Comedy? Work on my Japanese? I’m down. 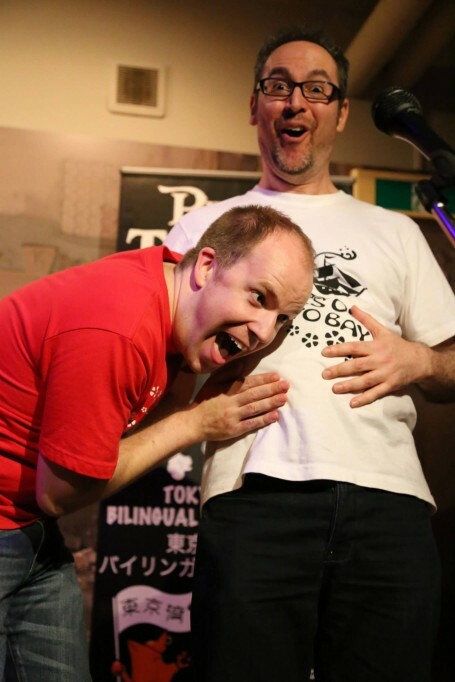 The group started in Tokyo in 2010 after founder Mike Staffa decided move from Osaka, where he started The Pirates of the Dotombori in 2005. 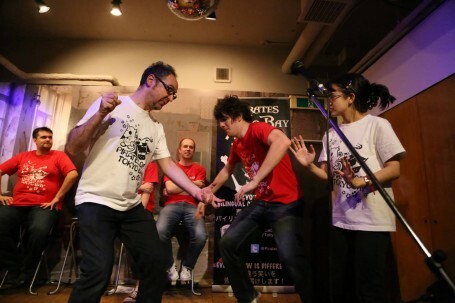 Because the audiences were more than willing to participate, the Osaka troupe enjoyed fast success. 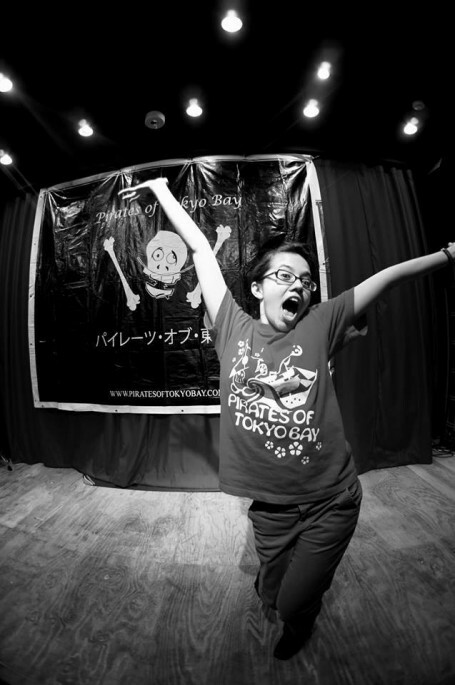 Staffa found the early days in Tokyo to be a challenge because audiences were a bit more hesitant to speak up. 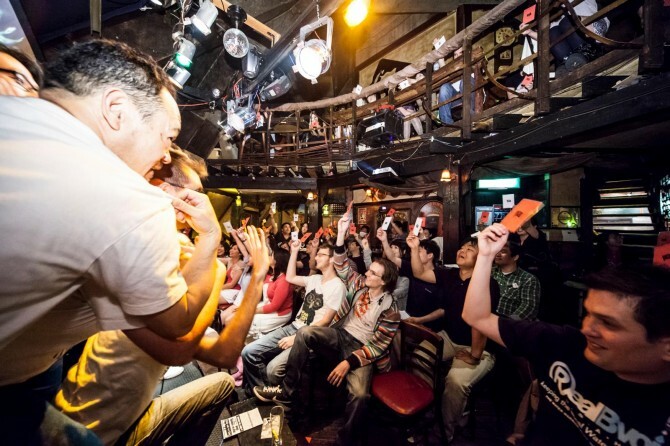 Now, POTB shows are lively and packed with both Japanese and foreigners, all ready to get their laugh on. Pirate Annika will kill you with giggles.